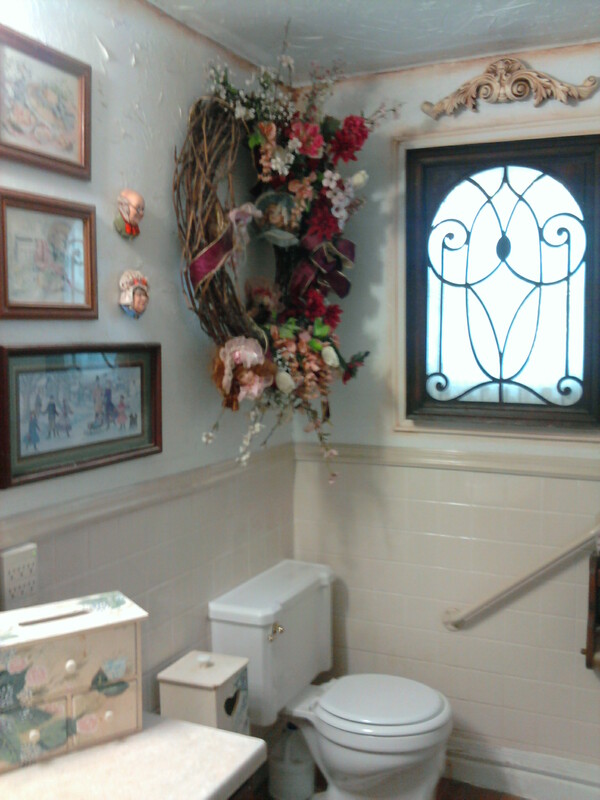 Yesterday, I posted about my Grandmanor and her love of all things Victorian. 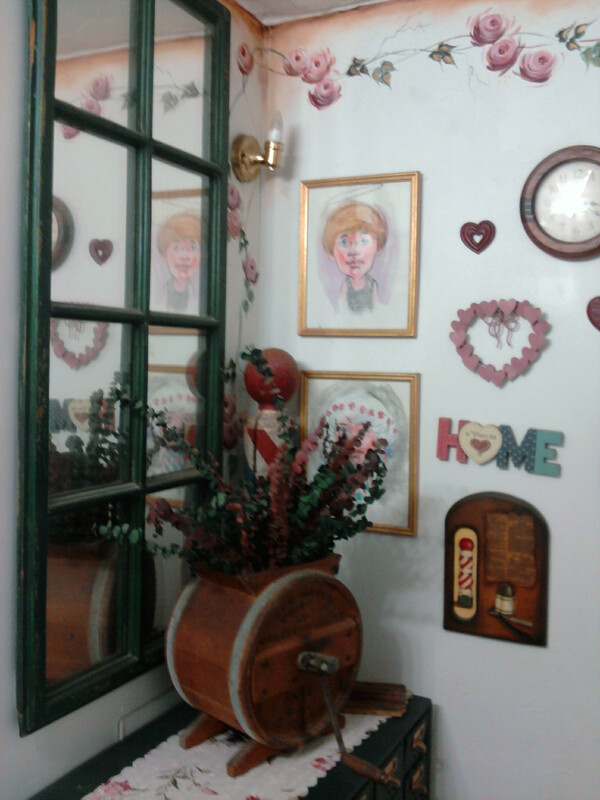 Today I wanted to share pictures of my aunt’s home. This is the second time my aunt has restored a Victorian house. Her previous home was in the city, while her current home is an old farmhouse complete with barns. While my hubby and I love to drive around and drool over these beautiful buildings, unless we come into some good money, I don’t see ourselves ever being able to afford to live in one of these beauties. My aunt's house. She loves Victorian things. 🙂 That's a real dog "chilling" in the chair. 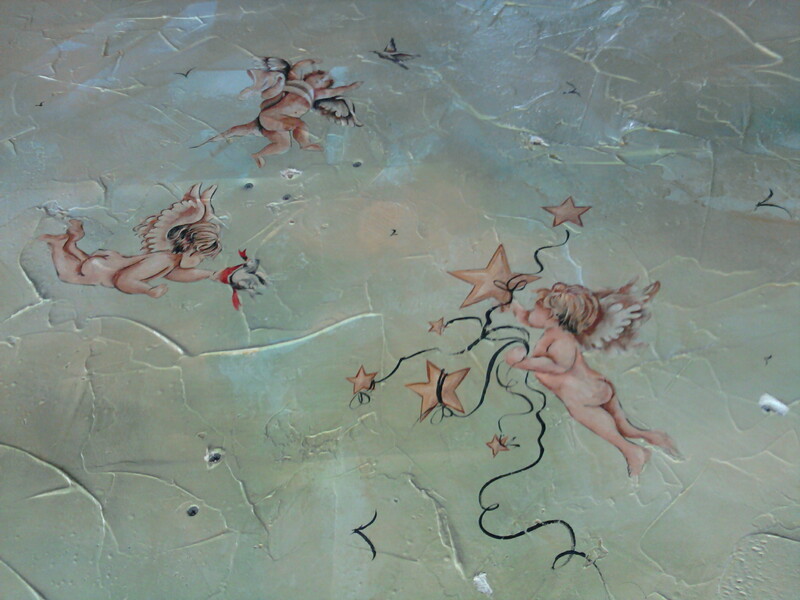 My aunt painted this on her living room ceiling. 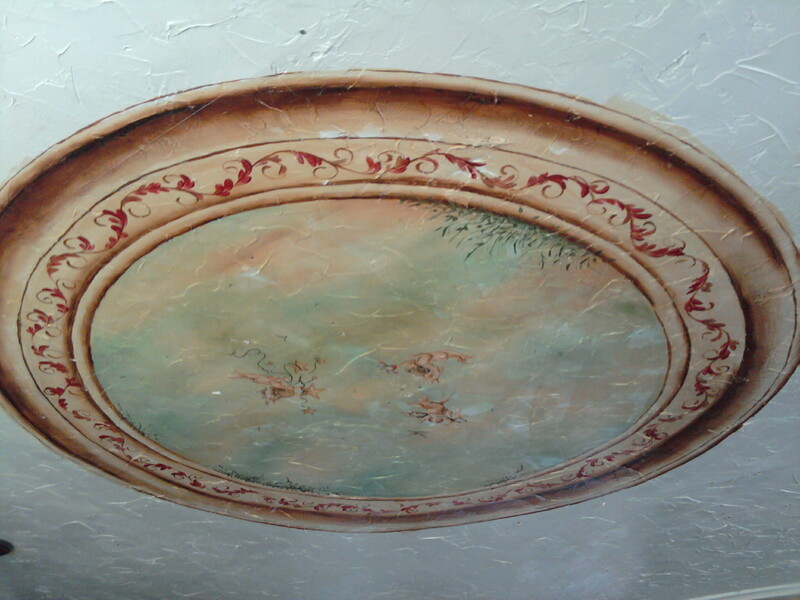 Detail of ceiling. My aunt painted this herself. My cousin is responsible for those screws in middle of her artwork. Yeah...don't ask! At my aunt's house. Victorian looking bathroom with all the modern plumbing. Another pic of the bathroom. 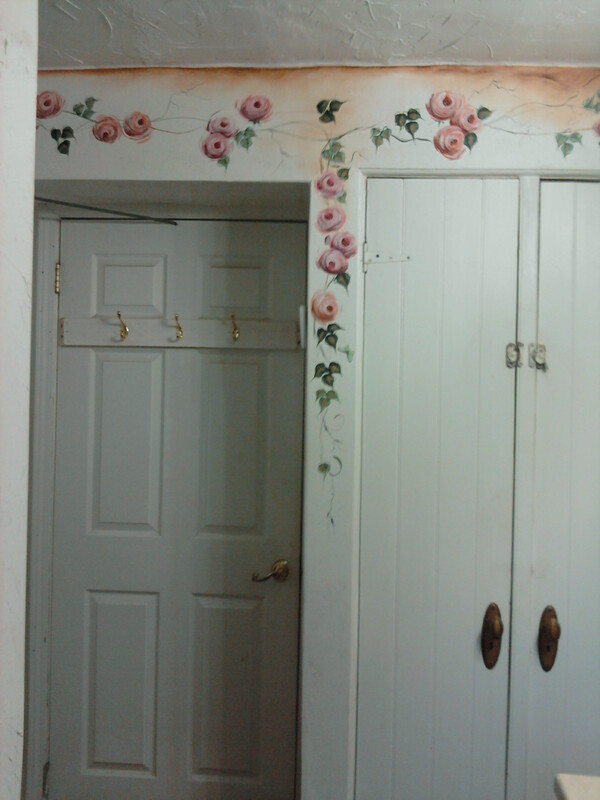 My aunt painted the *cabbage roses on the wall. My hubby’s a big guy. We have to combine old stuff with new or we’d be in the same boat! Poor little Victorian legs! 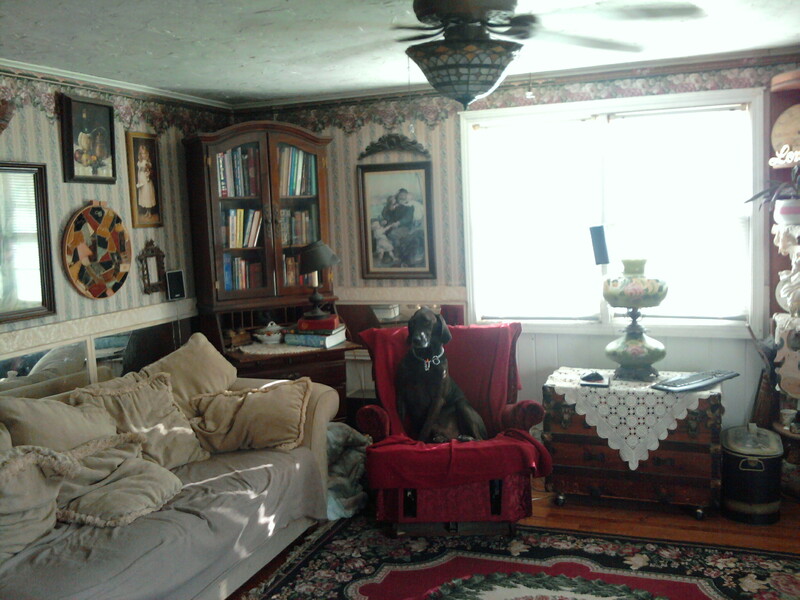 LOL Our chairs, and sofa are big and oversized, but my accessory pieces are vintage.